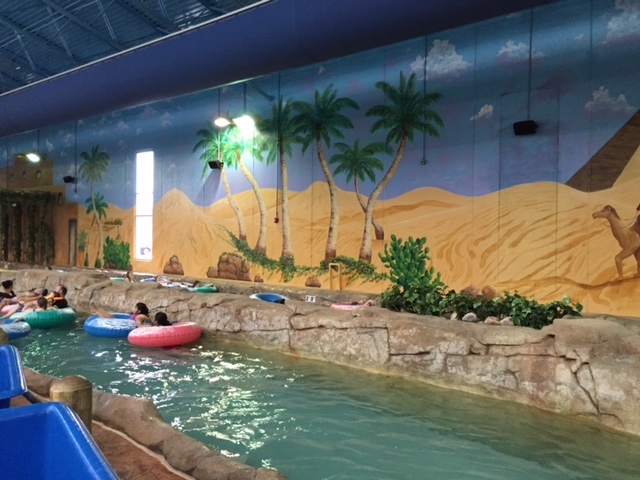 We were invited* to check out Sahara Sam’s Oasis in West Berlin, NJ over Spring Break and my kids were thrilled for the opportunity to go to this indoor water park on a gloomy rainy day. 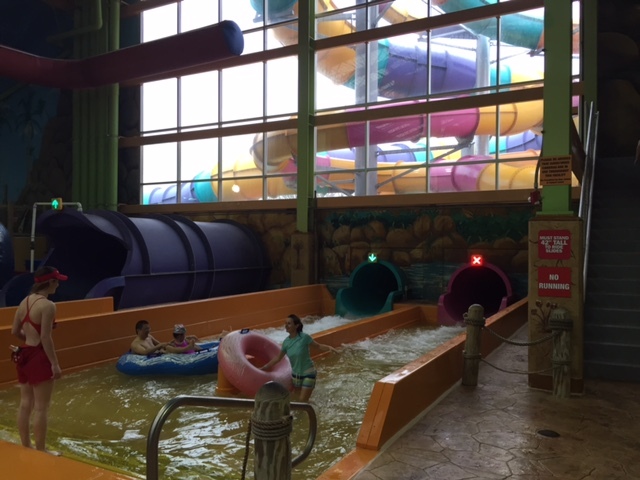 Walking into the building, you are immediately placed in a very large and colorful arcade that has the kids wanting to play. So many games to choose from, which is always fun. From there you enter into the water park and that is where the serious fun begins. 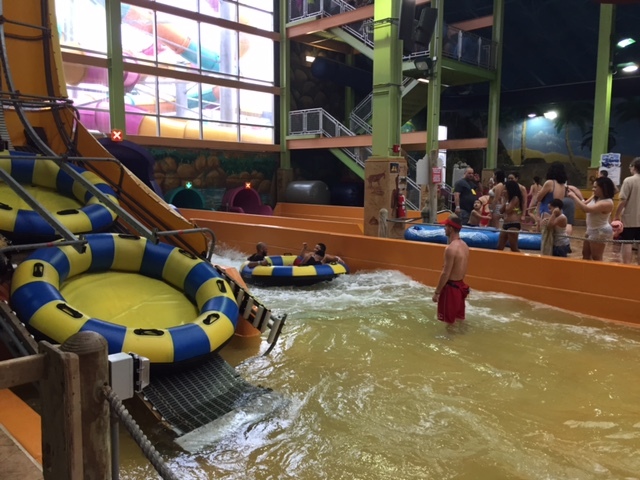 Throughout the complex, there are several different splash areas, tubes and slides to ride, wave pools to surf, and lazy rivers to relax on. Pick a spot to camp out, we loved having a private cabana for a central location to keep our stuff and keep an eye out on the kids, then let your family go exploring! You can spend hours here with your kids, as they will have a blast playing and riding all the fun rides. 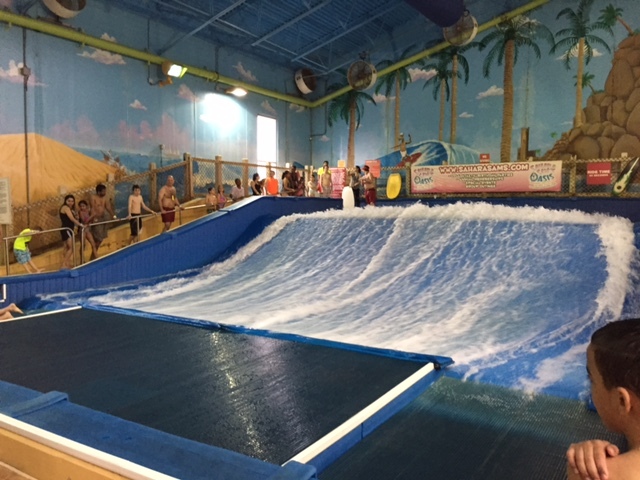 If you aren’t into getting wet and just want to hang out and relax while the kids have fun, it’s easy to do that, too! 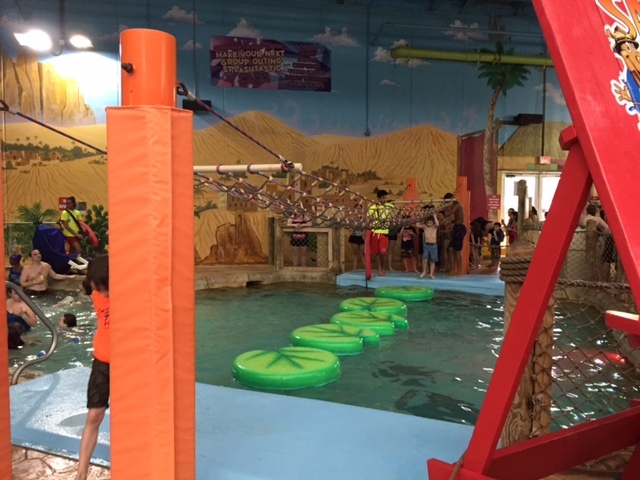 There is a large bar area for adults to grab a drink or bite to eat while the kids play. There is also a cafeteria to grab lunch for everyone. 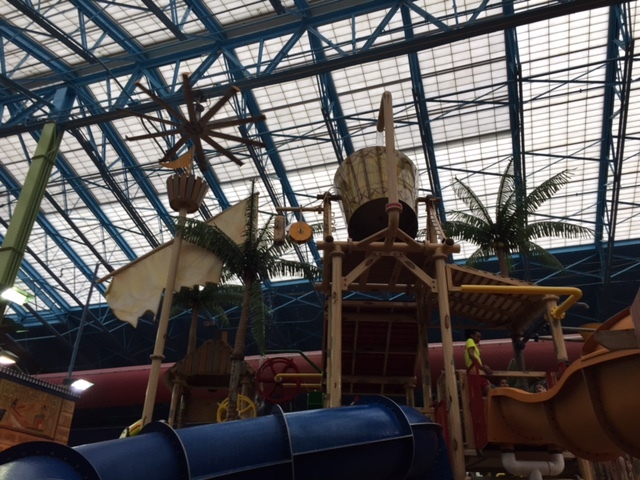 In addition to the indoor rides and attractions, when the weather warms up, they also have an outdoor area. My kids definitely want to come back to check that out. It can get really crowded, though, so take that into consideration to plan ahead and arrive early so you can get a spot to sit down. I was impressed with how well staffed the park was, though, so you know that the kids are safe as they go from one ride to the next, even though there was a significant amount of people there playing. 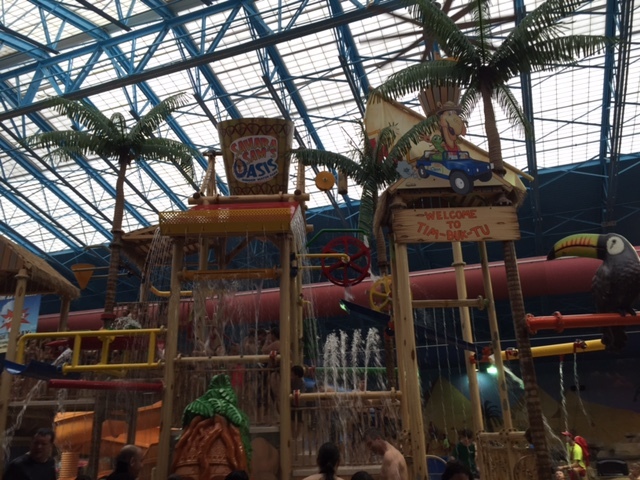 My kids had a wonderful time at Sahara Sam’s and will definitely come back to play again! It was a great day trip for the family! 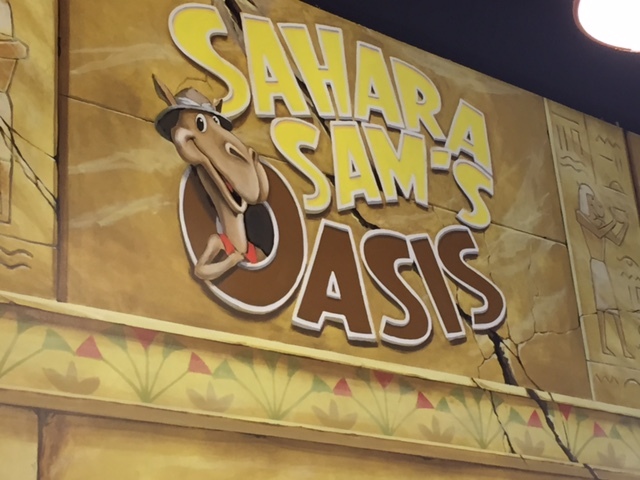 * we were invited to visit Sahara Sam’s to facilitate a review, all opinions are my own. I love Sahara Sams! You must live fairly close to where I grew up! I found you on the Bloggertunities Page – looking forward to following along!